Games! Contest! Prizes! Music! Friends Fun! *Wear a costume, a mask, or a funny hat! All Halloween parties will be held during English class. The parties for 2nd Year Students will be on Tuesday, October 31st. The party for 1st Year Students will be on Thursday, November 2nd. 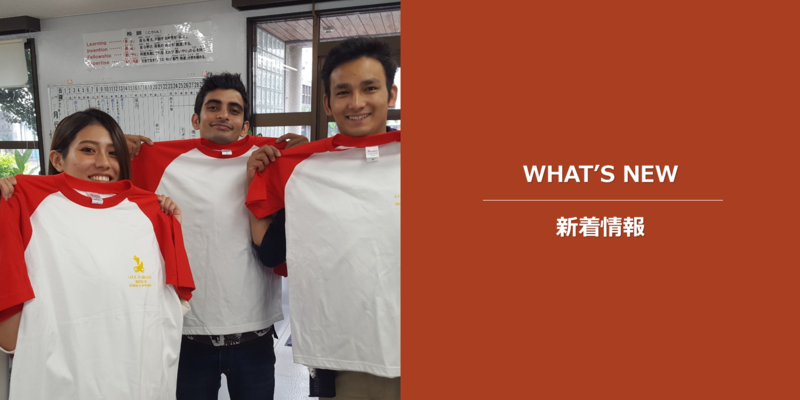 Let’s have fun and enjoy campus life! 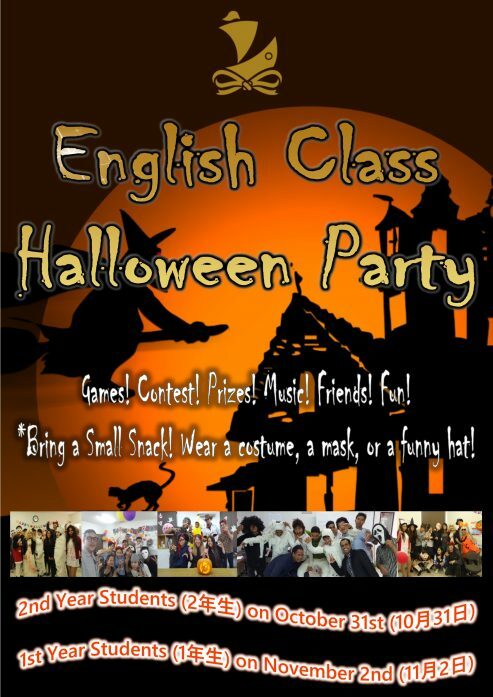 English Class Halloween Party at LIFE Jr. College! Games! Contest! Prizes! Music! Friends Fun! *Bring a small snack! Wear a costume, a mask, or a funny hat! The party for 2nd Year Students will be on Tuesday, October 31st. The party for 1st Year Students will be on Thursday, November 2nd. All Halloween parties will be during English class.